As part of “Dance: Sampled”, on Saturday 17 February, the Lowry presented a performance showcasing an eclectic selection of some of the biggest names of the moment, topped with an unexpected dance-theatre-juggling act. The performance hit the ground running with bold, fearless dancing in an extract of The Head Wrap Diaries by Uchenna Dance. Nine women, wearing brightly coloured head wraps, perform a mix of Waacking, African and Contemporary dance. Soon the head wraps loosen up, become a dress, a skirt, a scarf, or are waved in flashes of colour. The movements are sharp, grounded, fast and high-energy, and the fierce dancers have explosive personalities. It was an exhilarating start to the show. BBC Young Dancer winner Nafisah Baba gave a fresh and poetic interpretation of Near the Place Where Your Feet Pass By, a collaboration with choreographer Laila Diallo. Baba walks on stage in her Doc Martens, pauses and takes them off. Once her bare feet touch the floor, reality vanishes as she engages in a light, dream-like choreography; the agile precision of her gestures, combined with elegant fluidity, gives her a unique quality of movement. When one expects young dancers to show off all their tricks, she surprises with her less-is-more, spontaneous approach. At the end, when she sees her shoes again, she picks them up casually and walks away, as if she was saying: “I quite enjoyed this”. Well, us too. 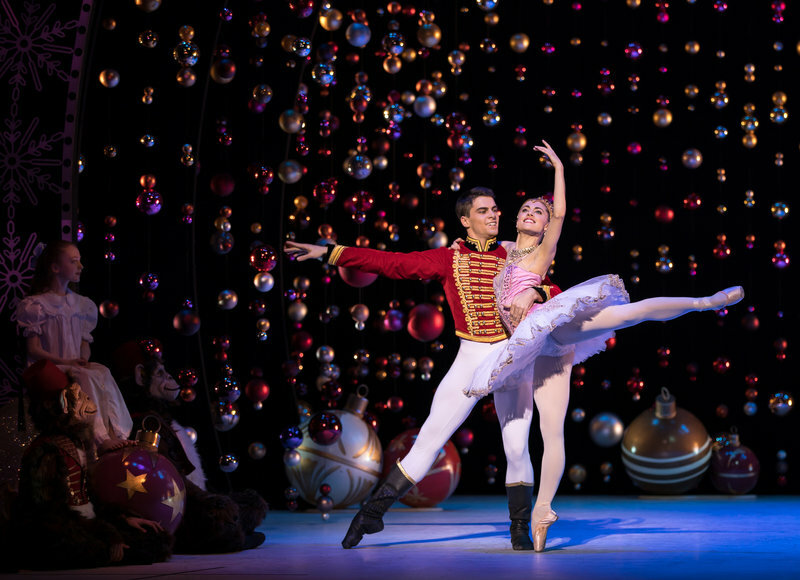 Following this, an extract of The Nutcracker was performed by a pair of dancers from Scottish Ballet. Bethany Kingsley-Garner and Evan Loudon both executed the choreography effortlessly, with elegance and sophistication – credit to Lez Brotherston for the beautiful costumes. Much anticipated was Spanish flamenco star Jesús Carmona. 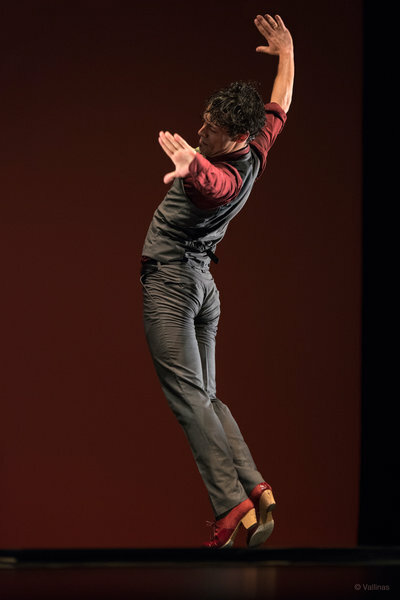 His impressively quick footwork and turns are a technical “tour de force” which was very much appreciated by the audience. The key to his performance, however, is his relationship with the musicians on stage – guitarist Dani Jurado and singer Juan José Amador – which gives all the emotion and drama to the piece. The show came to its peak with Gandini Juggling’s hit Smashed. Unlike the other acts, which were all extracts, it was shown in its original 20-minute format. 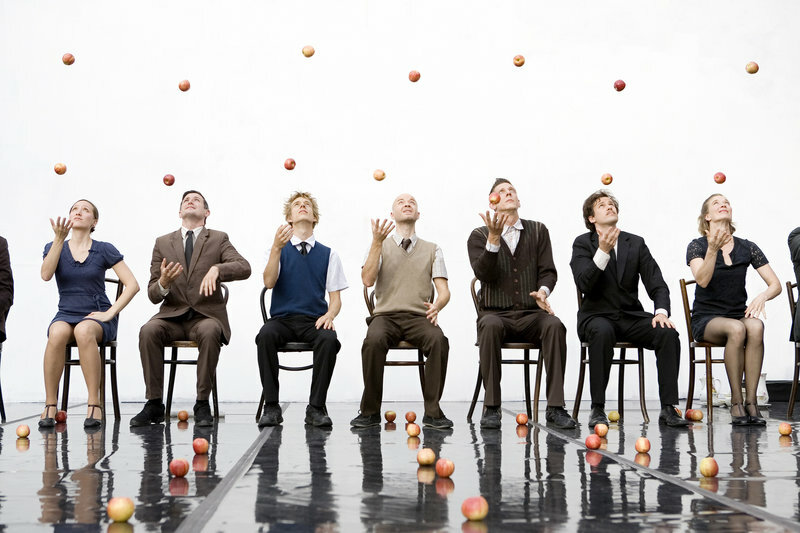 Created as a tribute to German choreographer Pina Bausch, the master of Tanztheater (literally, dance-theatre), it mixes traditional juggling with dance and theatre. The curtain rises on a stage spread with apples, perfectly aligned and evenly spaced, and a straight row of chairs at the back. Seven men and two women follow each other in a parade of flawlessly synchronised apple-juggling, nodding and smiling at the audience as if to welcome us into their little party. They all sit down. So, shall we have tea? Smashed has some clownesque, genuinely funny moments, which are very effective when added to the impressive juggling virtuosity. But there is another, more serious layer to it. The relationships on stage are not as perfect as the spacing of the apples on the floor. Beneath the jokes, we can see cruelty: some characters are bullied, other excluded, viciously ridiculed. Disturbing was the moment when all the men surrounded one woman, stole her apples and juggled them around her, while touching her and lifting her dress. This is not a game. Gradually the perfect universe turns messy, the juggling frantic, the nice little society ugly. Apples get smashed on the floor, chairs turned over, the performers fight, scream, cry, laugh and break the crockery. The tea party has gone wrong. But by all means it was not to be missed. Altogether, this was an engaging performance, and the audience was delighted. Let’s hope it will become a regular feature at the Lowry in the next few years.